Can You Guess Which Celeb Chef Sports the Yacht-Master II? Celebrity Chef Guy Fieri wears a Yacht-Master II. Known for his bold and brash flavors, style, and personality, celebrity chef Guy Fieri has risen to the top of the Food Network ever since he won a competition to secure his very own show back in 2006. It’s said that Guy’s shows attract more viewers than any other host on the food-focused channel. His approachable manner and charisma have won the hearts (and taste buds) of millions of viewers across the country and globe. Aside from his cooking shows and tv hoseting gigs, Guys is also a thriving author and restaurateur. In fact, he was already a successful restaurant owner and chef prior to landing his television spots. 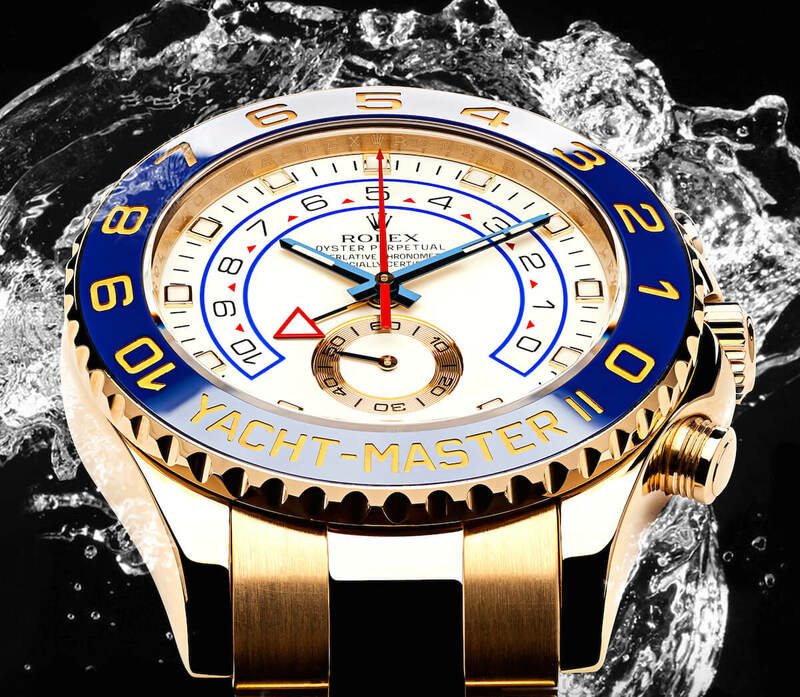 Given his over the top ways, it comes as no surprise that Guy would opt for Rolex’s loudest statement watch — the yellow gold Yacht-Master II — to complement his personal style. On news stands today! Wow! what an honor to be on the cover of @successmagazine ! For all his legions of adoring fans, Guy is also behind the eatery that was the subject of an epic takedown by a New York Times review. That now infamous scathing critique of Guy’s American Kitchen and Bar is the most read restaurant review of all time. Much like Guy himself, his watch of choice, the Rolex Yacht-Master II, elicits strong emotions from onlookers. There’s not much room for the in-between. The Rolex Yacht-Master II made its debut at Baselworld 2010. With its considerable 44mm size case, it’s the largest watch in the current Rolex catalog. The Yacht-Master II is available in four different versions: steel, yellow gold, steel/Everose gold, and white gold/platinum. 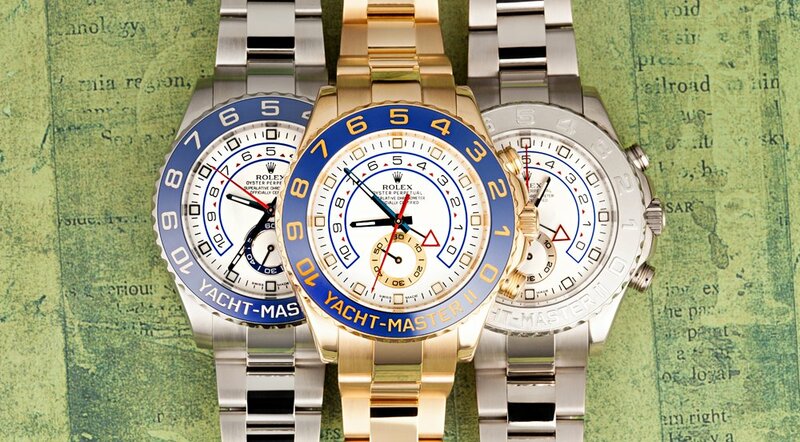 The Yacht-Master II Guy wears on his wrist is the Rolex Yacht-Master II ref. 116688, which is the full 18k yellow gold version. The ref. 116688 sports the Cerachrom ceramic bezel in a bright blue shade and its white dial is full of numbers, indicators, and information. Due to its distinct look, many are taken aback with the model. At first glance, the Yacht-Master II may look very different to other Rolex sports watches, yet, at the fundamental level, it still brings about that same spirit. Firstly, the Yacht-Master II is not just for show — it’s a tool watch for yachtsmen. That’s right, just like the Submariner is for divers and GMT-Master is for pilots, the Yacht-Master II has features, like the regatta timer, for competitive sailors. If you’re not a sailor, this may not serve a purpose at all, however, it’s still a very cool technical achievement by Rolex. Plus, the bezel actually controls parts of the Rolex 4146 mechanical movement within, hence its name, the Ring Command Bezel. And that’s something to appreciate from a technical point of view. Just like other Rolex sports watches, the Yacht-Master II boasts all the details that make these watches so great. The 18k yellow Oyster bracelet has the Easylink system to allow for adjustments, while the Oyster case is waterproof to 330 feet (100 meters). While the Yacht-Master II may not be for everyone’s taste, it’s a loud and proud watch that isn’t afraid to show off its aesthetics and technical achievements.